A Federal district court in Illinois recently addressed the scope of a limitation of damages provision in a dispute over automotive marketing software. The developer plaintiff in Aculocity, LLC v. Force Marketing Holdings, LLC, 2019 WL 764040 (N.D. Ill. 2019), sued the marketing company defendant for breach of contract – based on the defendant’s failure to pay for plaintiff’s software – and joined statutory copyright and trade secrets claims – based on the allegation that the defendant disclosed plaintiff’s software source code to third parties. The defendant moved for partial summary judgment that plaintiff’s claimed damages were foreclosed by the contract’s damage limitation provision. The court denied as premature since no discovery had been taken on plaintiff’s claimed damages. The agreement limited plaintiff’s damages to the total amount the software developer plaintiff was to be paid under the contract and broadly excluded recovery of any “consequential, incidental, indirect, punitive or special damages (including loss of profits, data, business or goodwill).” The contractual damage limitation broadly applied to all contract, tort, strict liability, breach of warranty and failure of essential purpose claims. In Illinois, parties can limit remedies and damages for a contractual breach if the agreement provision is unambiguous and doesn’t violate public policy. Illinois law recognizes a distinction between direct damages and consequential damages. The former, also known as “general damages” are damages that the law presumes flow from the type of wrong complained of. Consequential damages, by contrast, are losses that do not flow directly and immediately from a defendant’s wrongful act but result indirectly from the act. Whether lost profits are considered direct damages depends on their (the lost profits) degree of foreseeability. In one oft-cited case, Midland Hotel Corp. v. Reuben H. Donnelley Corp., 515 N.E.2d 61, 67 (Ill.1987), the Illinois Supreme Court held that a plaintiff’s lost profits were direct damages where the publisher defendant failed to include plaintiff’s advertisement in a newly published directory. The Court also held that the plaintiff’s statutory trade secrets and copyright claims survived summary judgment. The Court noted that the contract’s damage limitation clause spoke only to tort claims and contractual duties. It was silent on whether the limitation applied to statutory claims – claims the court recognized as independent of the contract. [*4] Since the clause didn’t specifically mention statutory causes of action, the Court refused to expand the limitation’s reach to plaintiff’s copyright and trade secrets Complaint counts. Aculocity and cases like it provide an interesting discussion of the scope of consequential damage limitations in the context of a lost profits damages claim. While lost profits are often quintessential consequential damages (and therefore defeated by a damage limitation provision), where a plaintiff’s lost profits are foreseeable and arise naturally from a breach of contract, the damages will be considered general, direct damages that can survive a limitation of damages provision. 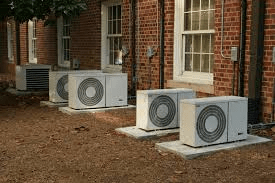 A prosaic fact pattern involving a busted home air conditioning system sets the stage for a Florida court’s nuanced discussion of the policy reasons that underlie compensatory damages and the differences between direct damages and loss of use (delay) damages. In Gonzalez v. Barrenechea, 2015 Fla.App.LEXIS 647 (Fla.3d DCA Jan. 21, 2015), the plaintiff homeowner sued the defendant HVAC contractor for installing a defective home air conditioning system. He sued for damages incurred in paying another contractor to install a new system (direct damages) and also sought loss of use damages for the 20 months it took for the new system to be installed and during which time the homeowner had only sporadic use of the home. The trial court entered judgment for about $80K in direct damages and denied the plaintiff’s claim for loss of use damages. Plaintiff appealed. Held: Direct damages affirmed; trial court reversed on loss of use damages. Plaintiff sought lost use damages of $15,500 per month – the reasonable rental value of a similar home according to plaintiff’s real estate appraiser expert. The trial court disallowed the delay damages because the appraiser didn’t factor in plaintiff’s limited use of the home – including storing furniture there, parking cars in the garage, and allowing a family member to intermittently sleep in the home. Under Florida law, a homeowner who loses the use of a structure because of delay in completion is entitled to damages for lost use. The measure of damages for delay in completing construction are measured by the rental value of the building under construction during the delay. Typically, a plaintiff trying to recover loss of use damages must offer expert testimony from a real estate appraiser (or someone similar) who testifies as to the reasonable rental value of the structure in question. The damages testimony must be reliable. However, where the expert witness’s testimony is based on faulty comparables, the loss of use testimony is unreliable. Reversing the trial court, the Florida appellate court held that none of the limited uses of the home was significant enough to negate the rental value assigned by plaintiff’s expert. The court even pointed out that parking cars and storing furniture on the site may have even saved the plaintiff money. Procedurally, the court held that since plaintiff made out a prima facie case for loss of use damages, the burden shifted to the defendant to establish a set-off to the claimed damages. And since the defendant didn’t plead set-off in defense of the plaintiff’s complaint, it was barred from doing so on appeal. There was also a policy reason for the appeals court’s reversal on the loss of use damages. Acknowledging that failing to offset the delay damages by the limited uses during the 20-month delay period, the court noted that the law favors a “small windfall” for the plaintiff over a “large windfall” to defendants like the sued HVAC contractor. The dissenting judge found that the trial court properly denied loss of use damages. Since plaintiff’s expert based his rental value on flawed comparable data (a home that didn’t include the various limited uses made by the plaintiff), his damage evaluation of $15,500 per month was entirely lacking in evidentiary support. A troubling result from a defense standpoint and a boon to contract plaintiffs. The court seems to have reversed the parties’ applicable burden of proof. The plaintiff clearly failed to meet his burden of establishing the rental value of the home during the 20-month delay period by relying on a deficient “comp” (comparable property). Because of this, the plaintiff’s delay damages should have been $0. That aside, this case shows the importance of timely asserting affirmative defenses. In hindsight, the defendant contractor probably should have asserted a set-off defense: that plaintiff’s loss of use damages should have been reduced by plaintiff’s periodic use of the property over the 20-month time span. The defendant’s failure to allege a set-off made it impossible for the appeals court to reduce plaintiff’s claimed damages.